Currency Research (CR) has prepared an exciting conference program for the 2015 AsiaÂ Cash Cycle Seminar (ICCOS) in Kuala Lumpur, packed with high-quality presentations in which global industry leaders will share case studies, the latest technologies, and innovative products and solutions. This unique seminar is just around the corner, from September 8-11, and is an exceptional opportunity to find out more about cost saving technologies, new strategies, and best practices. Delegates from all sectors of the cash cycle have already registered, and are eager to learn and network with peers and key players in the industry. The seminar offers a relaxed and professional environment, perfect for effective and meaningful networking! 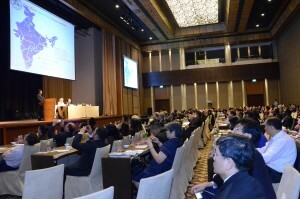 With a global and regional focus, the seminar highlights key trends and a wide range of relevant cash-focused topics, as detailed in the preliminary agenda. CR looks forward to the lively discussions inspired by the many informative presentations in the Plenary Sessions, including Jonathan Wardâ€™s presentation on â€œTrends in the Development of Cash Markets.â€ Mr. Ward, Managing Director of Secura Monde International (SMI) Ltd, will comment on the extensive 2014 study conducted by SMI into cash market development, which covered 16 countries. The study was based on interviews and discussions with more than 60 organisations worldwide. 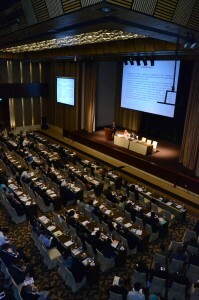 Mr. Wardâ€™s presentation highlights the findings of the study, analysing the common trends observed in the way cash markets evolve, the key factors influencing the development of the cash industry, and the distinctive differences in its pace and direction between mature financial markets and emerging economies. He will take the audience through typical stages in cash market development, key indicators of each stage, and the likely trajectory for the future of cash and payments. Mr. Ward will analyse the impact of disruptive technologies, such as the growing use of mobile payments, and will offer other potential â€œgame-changersâ€ for the cash industry as the spark for a live debate. During Partini Ibrahimâ€™s presentation on â€œCash Optimization: Challenges and Rewards,â€ delegates will learn about the various initiatives implemented at Maybank to improve operational efficiency and to enhance integrity and cost optimization, as well as to eliminate duplicate roles of Central and Commercial Banks. A strategist and visionary leader, Ms. Ibrahim is Executive Vice President of Regional Payment & SST Operations, Group Operations for Maybank and will share with attendees some of the key strategies for value generation through competitive, value-add innovations. Guy Bullen, Senior Vice President of Brink’s Asia-Pacific Limited, will be in Kuala Lumpur for a presentation on â€œCase Studies on Losses or Fraudulent Transactions.â€ Mr. Bullen will comment on how, in today’s world of increasingly sophisticated fraudulent transaction attempts linked to counterfeit currency, gold, or other criminal activity, Brinks Global Services plays an important non-financial “Gatekeeper” role as the leading global transport provider of VAL cargo, including currency for the financial community. 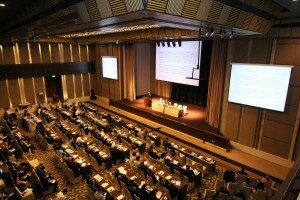 In addition to compliance and reporting requirements, his presentation will share proactive efforts and examples to prevent suspicious activity from entering the legitimate supply chain, using a multi-layered approach of experienced front line staff, management expertise, KYC efforts, and cooperation with local/international law enforcement. 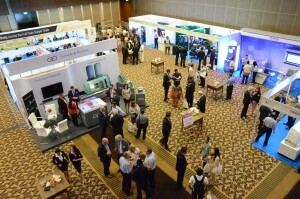 The leading industry suppliers whoÂ sponsor the seminar will be on hand to showcase the latest cash-related technology and services in the interactive exhibition area, and will also host a series of breakout meetings where they will share details about the latest innovative solutions for the industry. Held in more intimate settings than the general sessions, the breakout meetings cover a variety of focused topics, from De La Rueâ€™s meeting about their new ECM ISA 7 Software Platform and Giesecke & Devrientâ€™s on â€œSmart Automation for Small- and Medium-Sized Cash Centersâ€ to Hitachi-Omronâ€™s coverage of â€œBest Practice for Cash Recycling in Indonesiaâ€ and a discussion of Clean Note Standards by Innovia Systems. Swisslog will demonstrate how Commercial and Central Banks can automate currency and valuables handling in order to plan and build secure, reliable facilities for storing, distributing, and tracing currency and other valuables, while Glory Global Solutions will delve into â€œCash and Personality Types,â€ where Glory will present the findings of unique research into how different personality types use cash and what this could mean for cash cycle operations. Many other thought-provoking breakout meetings will be on offer over the course of the event! For the first time, the Asia Cash Cycle Seminar will feature a free Pre-Seminar Central Bank Summit, open to all delegates from Central Banks, as well as the ACMA Workshop on Cash Reconciliation, open to delegates from all sectors. Due to its popularity, CR is also again offering a free Post-Seminar Symposium on Banknote Production – Where the Cash Cycle Begins, open to all registered seminar delegates.Â Among the many fascinating topics planned for the latter is Kylie Springerâ€™s presentation on â€œMaking Banknotes Accessible to the Vision-Impaired Community.â€ As Senior Analyst for Banknote Projects at the Reserve Bank of Australia, Ms. Springer will share her insights about the design and production of banknotes that meet the needs of all sections of the community. In particular, she will discuss how to make banknotes accessible to people with vision impairment and will outline the work the Reserve Bank has undertaken to meet the needs of the vision-impaired community since the paper decimal banknote series was issued in 1966, through to the forthcoming next generation series of Australian banknotes.Â Many similarly notable topics will be discussed at this full-day symposium. 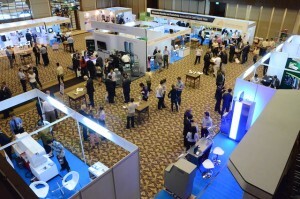 Join your industry colleagues from around the world in vibrant Kuala Lumpur for this unmissable event! The rates are set to increase after July 31st, so donâ€™t miss out and register today to save $300 or more. The full Asia Cash Cycle Seminar 2015 brochure is available, as well as the preliminary agenda. For more information about this premier seminar or to register, please visit the ICCOS Asia Website.